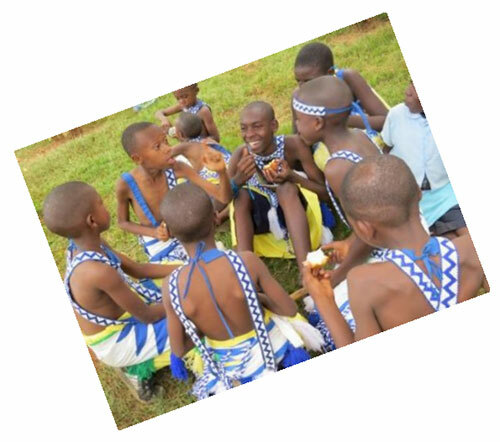 For our June newsletter we can read about our very special dance troupe which is going from strength to strength and becoming well known in Kigali. 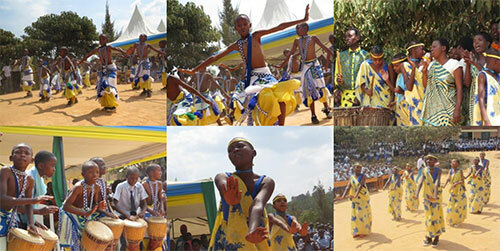 The local authorities invited the students to perform at a gathering to mark the International Day of the African child. Our friend Els went along, took some photos and wrote this account for us. 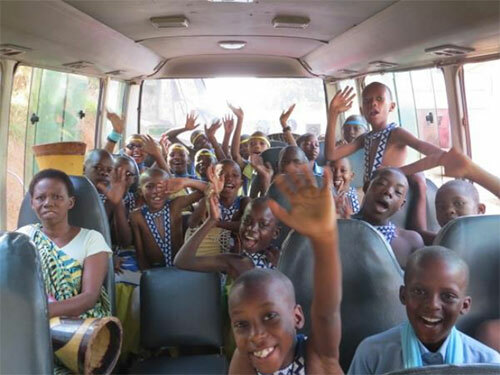 On 16 June, it was the International Day of the African Child. The day aims at raising awareness for the situation of children in Africa and on the need for continuing improvement in education. 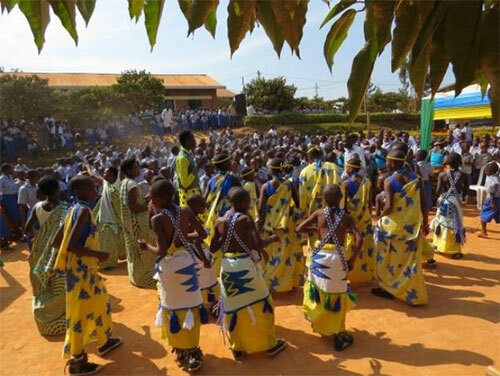 The children of Meg Foundation and teachers were invited to dance and perform at the celebration of the children on this day at Gasanze school, at the outskirts of Kigali. 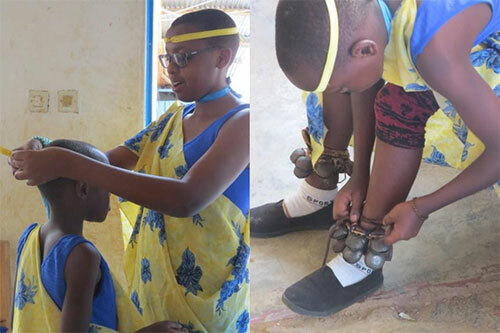 Around 7.30 the children and teachers came together at Meg Foundation to get dressed for the occasion, the older children helping the younger ones. Once ready, everybody got in the bus and we were off to the Gasanze school. The atmosphere in the bus was immediately very lively. Celebrating this International Day of the African Child means there was a lot of dancing with all the children of the different schools. On this day the children were informed about their rights, sometimes in a serious way with speeches, but also in a more playful way and even a quiz. Giving the right answer resulted in a prize. 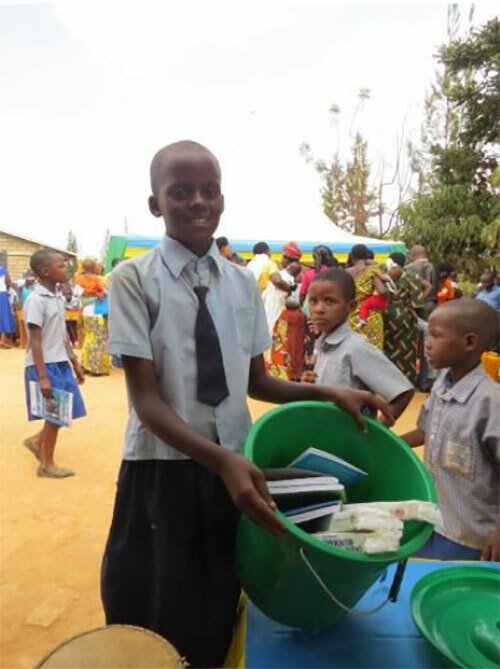 One of our kids got such a prize, a plastic bucket filled with notebooks and pencils! In between the speeches the children of Meg foundation gave a nice performance of their drumming and dancing abilities. After what supposed to be finished at 12pm, only finished around 2pm. So it was finally time for a well deserved drink and cake, after which we could go back home. At the end the children were tired but had a lovely day with a lot of fun.